We appreciate you trusting us with your dental care. If you are happy with our care and would like to tell others, we would like to make you and your referral a special offer. When you refer a new patient to our practice the referred patient will receive $25 off their first visit. Because we appreciate your referral we will also give you a $25 credit toward your next dental service for every new patient referred. We are grateful for your confidence you place in us. Rest assured that anyone you refer will be treated with the highest level of care and service. 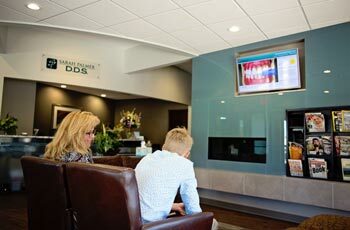 In order to receive the $25 credit, you must be a patient of Sarah Palmer DDS. There are no limits to the number of people you refer. You will receive your referral credit after the new patient has completed their first visit, which includes the initial exam, consultation and x-rays.